We all want to wear something vibrant and bright, but most of us want to keep the classic style. A kind of PARADOX?! Well, you can achieve such look by wearing chevron print! In today's article I have gathered all my favorite chevron printed garments and accessories, what will be great companions for you during this summer season. I have chosen twenty one stylish ways to wear chevron during these hot months. 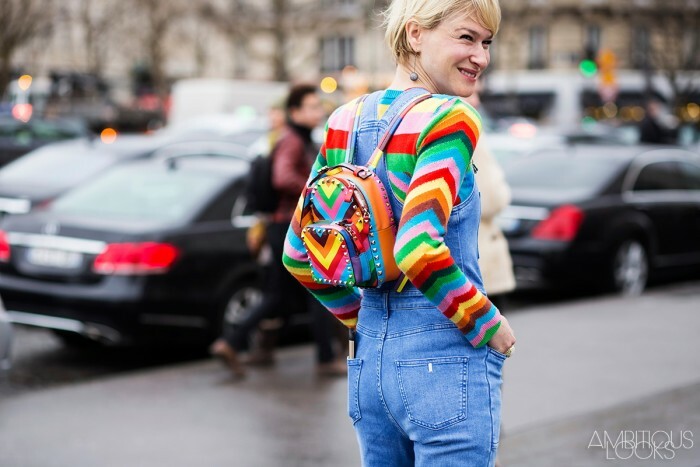 Personally, I like to wear chevrons only appearing on my accessories, like those multicolored ones on my clutches and bags. But I see lots of women and ladies in the streets wearing fresh and vibrant chevron tops, dresses and skirts fully embellished with this cool, retro-inspired print. Indeed, everyone experiments with punchy patterns. Make some fun with chevron multi-colored little clutch bag. You can wear it with a green long-sleeve blouse tucked in high-waisted white culottes. This bold fashion statement look can be dressed up or down. The only thing you have to know is the perfect balance, what allows you pairing this print with the right garments. You can use these stripes with your everyday clothes, as well as with cocktail attire and evening looks. This print is big and bold and very chic! No so long time ago I saw one lady wearing a chevron maxi dress. The look was very flattering, plus the print made this lady to stand out and pop. You can add loose-fit cardigan or a lightweight blazer to protect yourself from the cold. It's a fun alternative to stripes. Believe me, this print will capture everyone's attention as you walk on by. The off-shoulder cream-white sweater looks awesome styled with black and white chevron slim-fit pants. The outfit is completed thanks to glossy black leather pumps, spacious black leather handbag and black fedora hat.